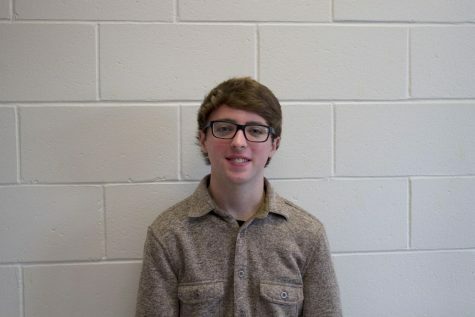 Nick Franzini, a senior at Hollis Brookline, is beginning his first year writing for the school newspaper. Outside of his studies, he plays the bass guitar, enjoys hanging out with friends, and is on the robotics team. He also plays volleyball in the spring, and will be on the bowling team this winter with his friends. Franzini is also in a band that performs locally, as well as at the school shows, and hopes to continue writing original material for both. He is in the process of setting up a home studio, and is learning how to produce music to record his band’s songs. Someday he hopes to go to school in the Boston area, and study engineering with a minor in music.